Sedona Hotel Yangon is welcoming the Chinese Year of the Pig. Its Chinese restaurant, Dufu, will host a Spring Festival offering special set menus created to bring diners luck, health and prosperity. The Spring Festival will be available for the whole of February and will include “Longevity”, “Prosperity” and “Fortune” set menus created by the executive chef and his team of local chefs. The sets start at US$138 net per table of five persons. The Irrawaddy was invited to a special tasting event for members of the media at the Sedona Hotel Yangon on Jan. 16. 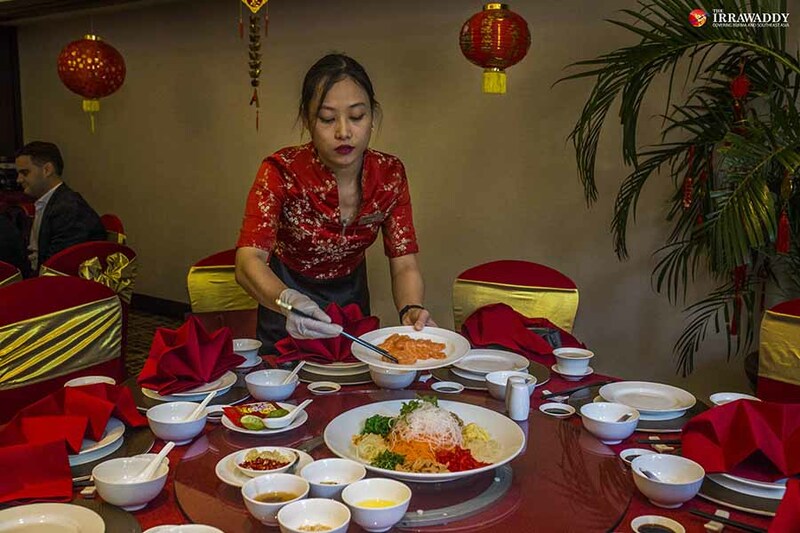 To begin, the hotel served up the traditional Lunar New Year main dish Yee Sang (Prosperity Toss), which symbolizes wealth, prosperity and health, and is commonly shared with the family. The colorful salad included strips of salmon mixed with shredded vegetables such as radishes, carrots, ginger and onion slices, crushed peanuts, pomelo, pepper, pickled ginger, and a variety of sauces and ingredients. Every ingredient in the dish has a symbolic meaning. After the final preparation, all the diners toss the salad as high as possible, shouting sayings like “Good luck!”, “More income!”, “Good health!” and “Wealth!”. It is the fun part of the meal, and Chinese people believe that the higher and more vigorous the toss, the better the coming year will be. The salad is a delicious, crunchy mix of sweet and tangy flavors. Within the three set menus, highlights include authentic Chinese dishes such as Fried Sea Bass in Spicy Bean Sauce, Braised Sea Cucumber with Dried Seafood and Fat Choy, Longevity Hong Kong Noodles with Char Siew, Wok-fried Tiger Prawn with Salted Egg, and Curry Chili. 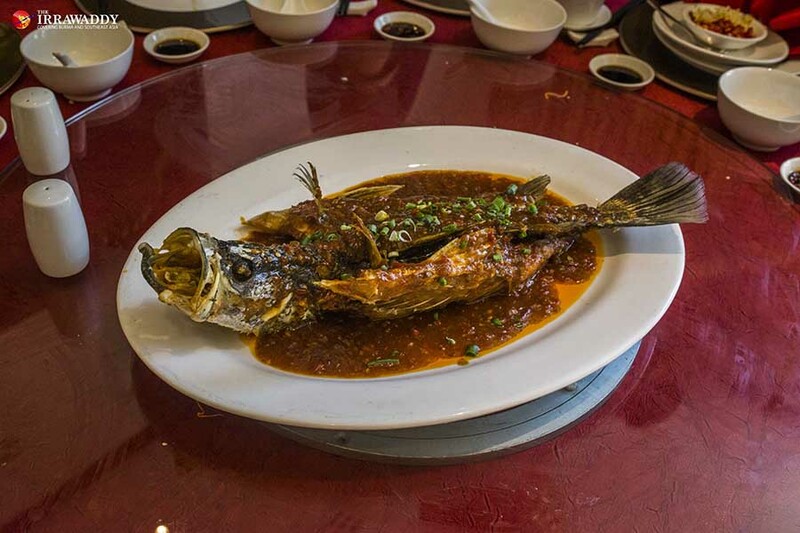 The Fried Sea Bass in Spicy Bean Sauce is a sweet and crunchy dish, and not really spicy at all. The chef deep-fried a whole sea bass, giving it a crunchy exterior, while the meat was tender. The spicy bean sauce was not very hot. This dish was really good. My next favorite was the Longevity Hong Kong Noodles with Char Siew; this was just fried noodles topped with slices of crispy pork neck; the long noodles symbolize longevity. The fried noodles were quite juicy and tasty. The outside of the slices of pork neck were crispy but the meat was very tender and sweet. The portions were large and of course—this is a Chinese New Year special menu, after all—most of the dishes were sweet. 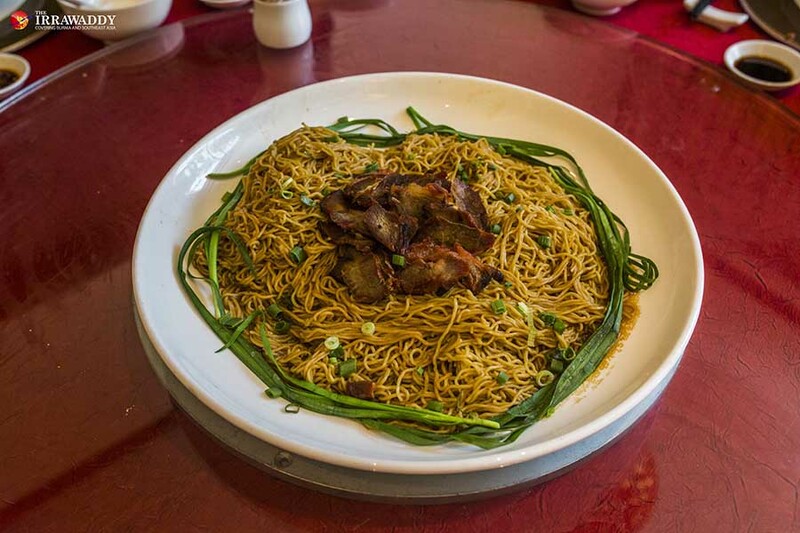 This is a good chance for Chinese people looking for a special way to reunite with family members or other relatives, and for foodies who just want to try some authentic traditional Chinese dishes. The hotel offers a deluxe red hamper for US$88 net. It includes premium items such as gold ingo Chinese cake, homemade peanut cookies, house wine, pu-er tea, and Pacific clams. On Chinese New Year, Feb. 5, the hotel will host activities including a Chinese dragon dance and many others.